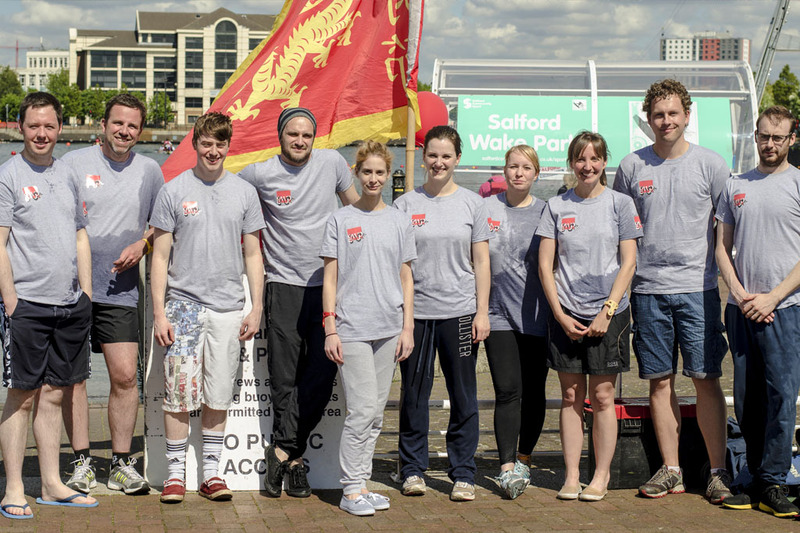 Staff from GWP Architecture and GWP Project Services took to the water in Salford Quays for this year’s CRASH Dragon Boat Challenge. This was the second time the practice had entered this popular annual event, which raises funds for the construction industry charity CRASH. The 11 strong team battled through the heats but missed out on a place in the semi finals. The eventual winners were Mace group, beating EC Harris in the closely contested final. A great day was had by all in the Manchester sun, with a BBQ and prize giving for best fancy dress and top fundraiser.